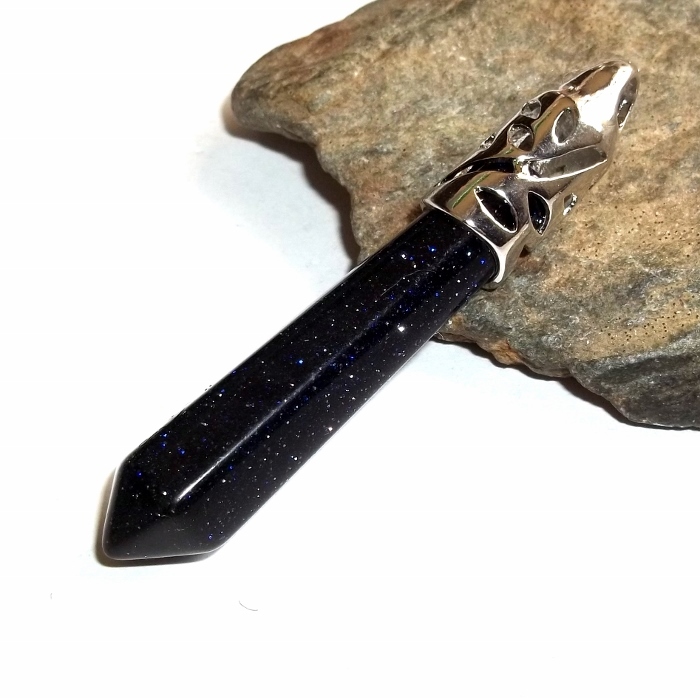 Gorgeous sparkly blue goldstone faceted wand gemstone set on a silver plated pendant. Sometime during the early 1800's, an Italian monk was making glass at his monastery. He accidentally spilled some copper filings into his molten glass and goldstone was born. The recipe for making goldstone was kept secret by the monks, but was handed down through time. 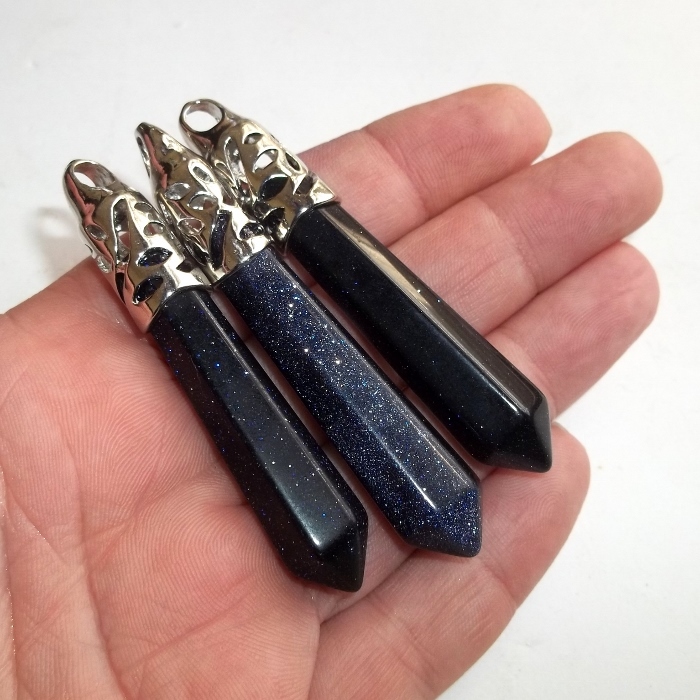 Blue goldstone pendants are 2 1/2 inches long and the bail hole is 5 mm diameter and will fit any cord or chain sold separately in the shop. Just a note, these are very difficult to photograph and look almost black in the photos. 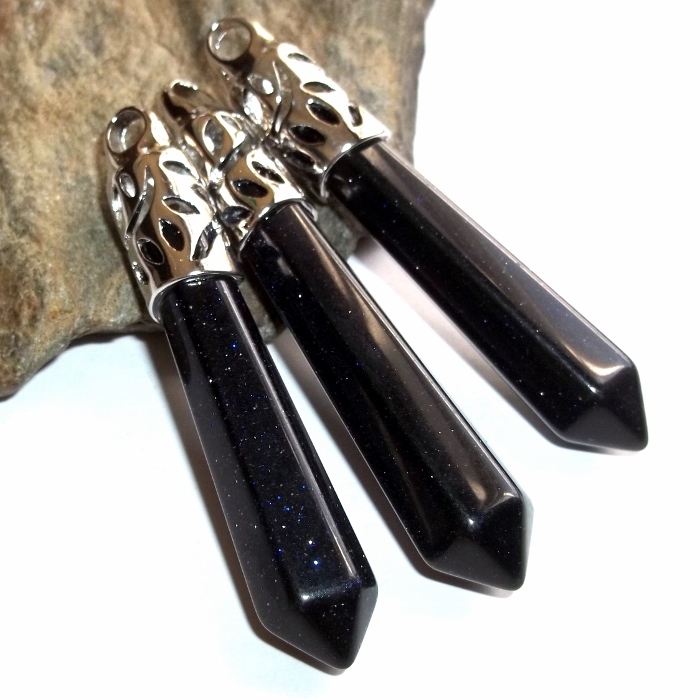 In person they are a sparkly dark navy blue.